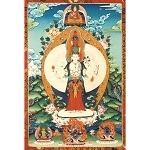 Chenrezig, the Buddha of Compassion, represents the boundless compassionate energy of all the buddhas. 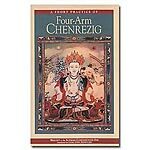 His four arms signify the four immeasurable attitudes of love, compassion, equanimity and joy. 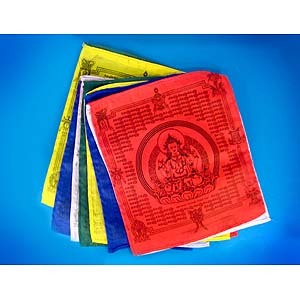 Prayer flags can be hung either horizontally on the eaves of a building or fastened vertically to posts. They can also be hung indoors to increase spiritual atmosphere. 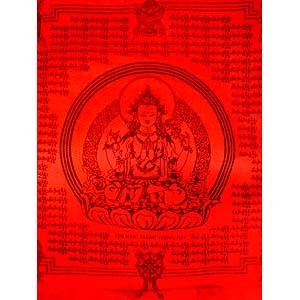 Click here to learn more about the history of Prayer Flags! 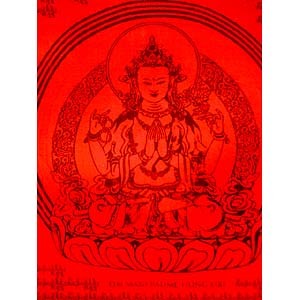 It is very important to take note of the dates you hang your prayer flags.. Click here for favorable dates to hang flags according to the Tibetan Calendar.